If country music has taught us one thing over the last decade, it is to never underestimate an aging legend. With much of Nashville doing everything it can to zap tradition and creativity off the mainstream radar, recent efforts by Johnny Cash, Loretta Lynn, Glen Campbell, Porter Wagoner, and Dolly Parton, among others, have quietly upheld the genre’s standards, in many cases producing some of the finest records of those artists’ esteemed careers. The standard approach among these sets has been to build on an artist’s proven strengths with a younger-minded producer who understands what made the artist great in the first place. It’s a very smart compromise, rejuvenating the old-fashioned while still honoring an artist’s essential identity, and given its successful track record, one might expect the posthumous Waylon Forever to follow the same path and thereby fall easily into the hallowed company of Cash’s American Recordings or Lynn’s Van Lear Rose. But a cursory listen-through the eight tracks here will quickly put such notions to rest. 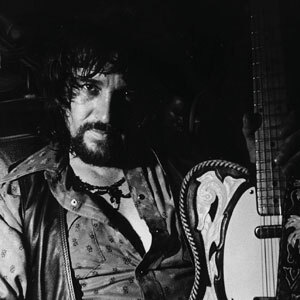 Waylon Forever is not a hiply updated reminder of what its namesake did throughout his multi-decade career, even as it features no less than six songs Jennings had previously recorded (with “I Found the Body” and a cover of Cream’s “White Room” being the newbies). It might not even be prudent to call the set a proper “album.” It sounds more akin to an unfinished home experiment with a little extra shine, which makes sense given the unusual circumstances leading to its production: son Shooter began recording the project with Waylon in 1995 (which found the former sixteen years old and the latter seven years from death), and the two reportedly arranged the songs here with some of the younger Jennings’ then-inspirations (Nine Inch Nails, Skinny Puppy, Pink Floyd, Cream) in mind. The result is a disjointed, scrappy, often weird, and occasionally quite inspired set of recordings that longtime Waylon fans will find fascinating and everyone else will likely scratch their heads at. The six Jennings standards here are tackeled with a spirit of re-discovery that often brings out new facets in the compositions. Sometimes the difference is relatively small; “Lonesome, On’ry and Mean” and Rodney Crowell’s “Ain’t Livin’ Long Like This,” (formerly “I Ain’t Living Long Like This”) find the crew simply cranking the volume, resulting in southern rock stomps that graciously still acknowledge their country origins. These arrangements blend the two Jennings’ respective styles well, and Waylon accommodates the racket by turning in two ferocious, growling performances that lend the songs’ lyrics a vigor only hinted at in their original presentations. “Jack of Diamonds” takes a similar approach, dropping the snappy, acoustic levity of the original (right down to the “-a-” formerly used in lieu of “of” in the title) and allowing Waylon to give a more convicted reading of the rambling number than he managed in 1976, even if the vocal is a little less polished and the song still drags a bit. As the album progresses, riskier revisions abound. The biggest makeover is on the classic “Don’t You Think This Outlaw Bit’s Done Got Out of Hand,” which becomes “Outlaw S***,” a remorseful, piano-driven ballad that finds Jennings wondering, more urgently than before, whether his own renegade persona has even been worth the trouble. It’s a fairly striking record, albeit a melodramatic and inherently esoteric one, and the new arrangement achieves the impressive task of implying a nuanced retrospect of Jennings’ entire career even as the song still speaks specifically about the event of his 1977 cocaine bust. Less winning, however, is a spare take on Neil Young’s “Are You Ready For the Country,” which loses its emotional urgency as a result of a deadened rhythm section, and then throws in a gratuitous guitar solo after the album has already hosted a few too many. On the bright side, though, the musicianship is consistently impressive (if not always tasteful) throughout the set, with Shooter’s band the .357’s providing tight, spirited, and assured accompaniment on even the weaker tracks. The set finally closes – somewhat oddly – with its two least Waylonesque moments, both of which find the older Jennings in strong interpretive voice and the younger indulging his psychedelic fantasies full-tilt. “White Room” doesn’t mess much with Cream’s original template and sounds as appropriately epic as ever; “I Found the Body,” a co-write by father and son, tells a fairly compelling story that gets all but drowned out in the blatant Pink Floyd tributing (the last thing you hear is a lengthy vocal wail extremely reminiscent of “Great Gig in the Sky”). It’s certainly not musically bad, but it is a jarring close to a set supposedly celebrating the legacy of a country singer. And that’s ultimately the big flaw of the album: for all its individual strong points, it feels sloppy and unfinished in concept and structure. Eight tracks is just too little content in this case to lend the set a unified vision, and though there’s not a truly bad number here, there are also relatively few that feel completely unified, even as many boast brilliant re-framings of classic songs. Ultimately, Waylon Forever embodies many things: a highly personal father-son collaboration, a retrospective of a widely celebrated artist, and an intriguing exploration of country music’s intersections with other genres. Perhaps it’s the album’s struggle to fulfill all of these roles in so little time that leaves it feeling just a little short of excellence – or perhaps it’s just hard to hear it end somewhere short of forever. When you launch your own publication, will you think of me? This review exposed both the shortcomings and the strengths of the album fairly accurately. Well done. Thanks, Blake and Paul. I have to say that I wasn’t too hot on the album the first two times through and was thinking 2.5 stars myself, but it grew on me in the downtime before my third listen. Whether or not everyone else will share that experience, I don’t know. I think “Lonesome, On’ry and Mean” is the only one I can see myself going back to a lot; as interesting as the album is, a lot of it is more abstract than my tastes usually go, especially when it comes to the songs I play a lot.